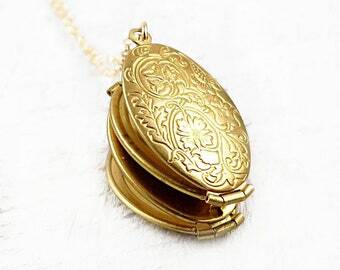 Gold oval folding four photo locket with engraved flowers on the front, that opens to hold 4 photos! 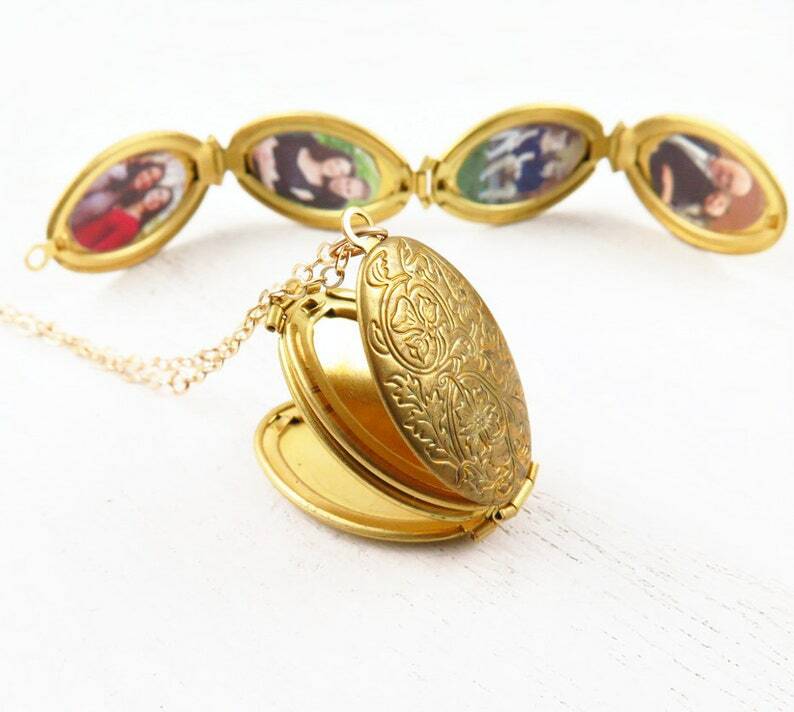 What a better way to hold your loved one's close than with a locket that displays four photos! 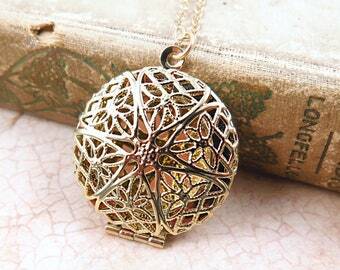 Gold filled chain. 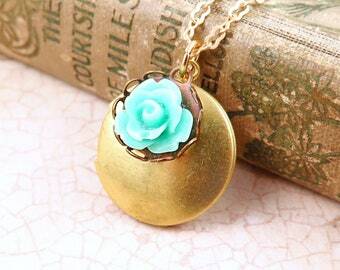 Locket measures 1 1/4" in length. 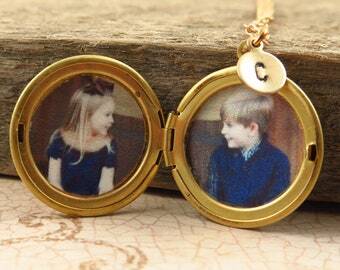 This locket comes with 4 photos inserted by me for you! Please email me your FOUR photos to laurenbdesigns [!at] gmail.com. Please send high quality, JPG photos (no screenshots) in vertical not horizontal mode. 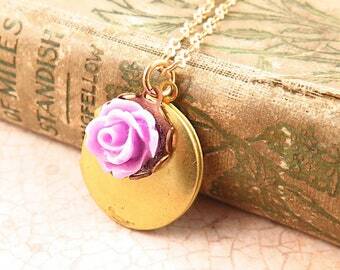 Please note the photos do not cover the entire top and bottom of the locket entirely. 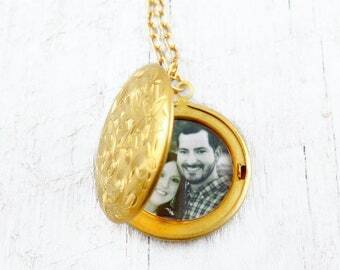 I also put the photos in so that when you open the locket the photos are facing AWAY so you can show others your locket and they can see all the pictures and it's not upside down. All photos are printed on high quality glossy photo paper. Please allow an additional 24-48 hours for photos. Communicationwas great, super sweet lady, quick delivery. Lauren’s locket came to me quite quickly, and was as lovely as her marketing material promised it to be! 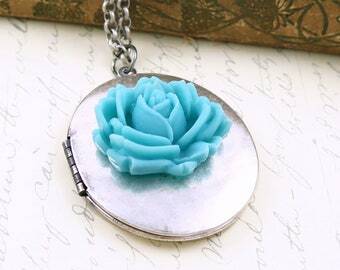 The locket was beautifully crafted, and she was able to edit and size my photographs with great ease and professionalism! 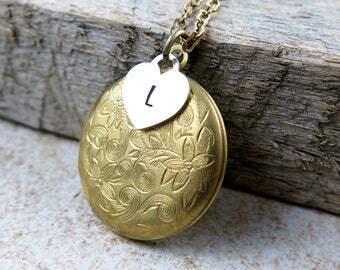 This was a gift for one family member, but quickly became a favorite of other women in the family, too, so we will be designing more to ensure everyone has a charming, feminine, heirloom quality locket to hold close to their hearts! Lauren is communicative, responsive, and helpful! Support her small business, and you will be forever glad you did! Really good communication with the artist, she makes sure that the photos are working for the frame! Quick shipping as well, thank you!! !